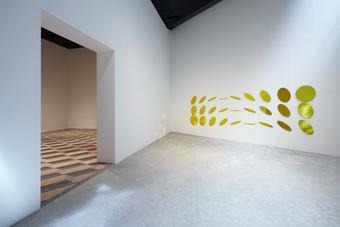 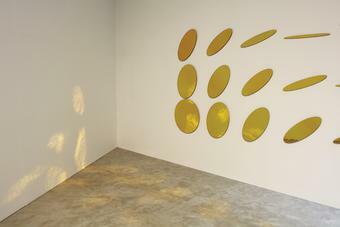 Twenty-seven elliptical yellow mirrors, made from silvered, hand-blown glass, are arranged on the wall in three rows. 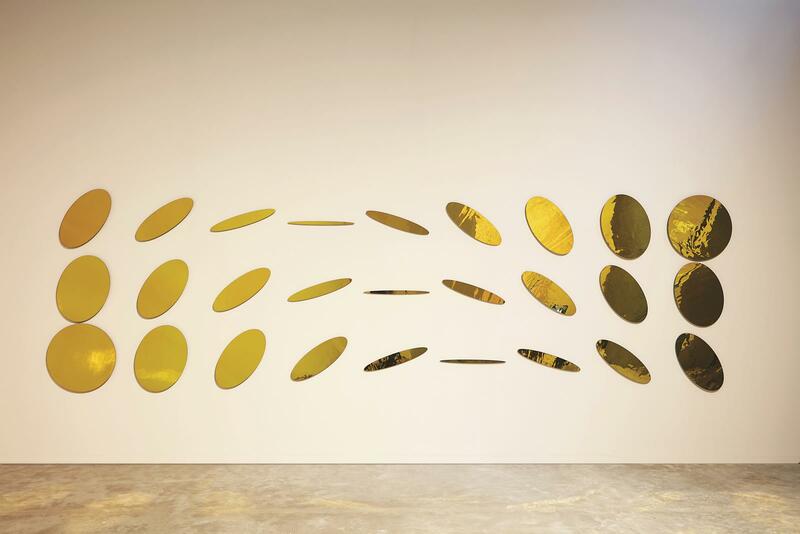 Each row presents a regular progression of ellipses that increasingly diverge from circular, creating the impression of a set of rotating discs. 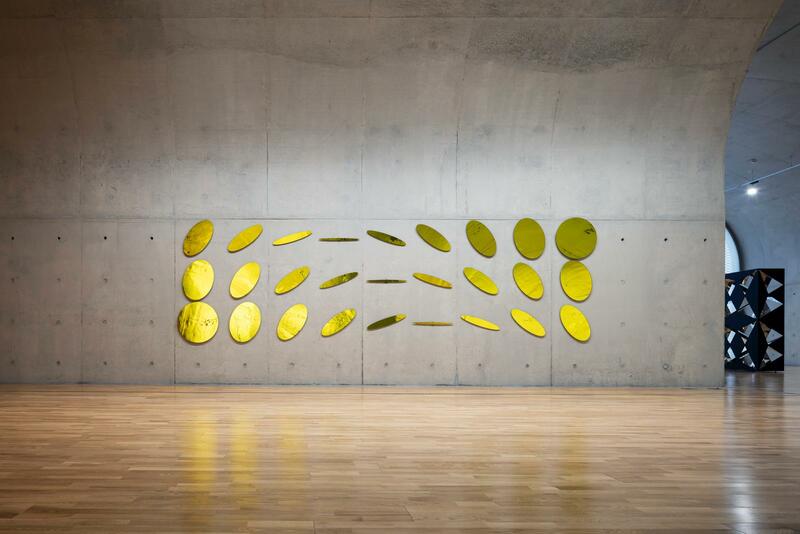 An ellipse drawn in two dimensions appears the same as a circular disc tilted in three dimensions; the work exploits this inherent visual ambiguity to highlight the mutability of forms in relation to the viewer’s perspective.